PROVIDING BEST SERVICES OF PRESSURE CLEANING AND SOLAR CLEANING. External hard surfaces like driveways, paths, pavers, boat ramps, concrete and patios need pressure cleaning as these surfaces require too much force to be cleaned. Where pressure cleaning saves time also saves cost as GutterMen is providing this service with very cheap cost for homes and business of Gold Coast. When you compare our service you will find many households providing cleaning services which is suitable for wash of bike or a boat but not for performing a big job like a driveway cleaning in Gold coast. We have a upgraded and latest equipment for performance of heavy work like driveway cleaning. We can show you the result by cleaning the almost all kinds of surfaces such as cement, sandstone, bricks and many more. You will definitely find difference as compared to old dirty surface and new life of these surfaces. Below are two methods which are used by Guttermen OZ for pressure cleanings. Pair of water jets (spins very much quickly) is used in this method and the Whirlaway is joined with a 4000psi pressure cleaner. Water jets producing very high pressure generates softening effect that removes the dirt very rapidly this method is ideal for surfaces like patios, path, driveways and other like same. This method is called high pressure wand which is similarly to small pressure cleaner but the difference in it that it is operated by a huge powerful and heavy duty pressure cleaner. Basically we use wand to get approach to that places where Whirlaway cannot perform its duty. Different situations need different attachments and we have all of it to provide long time effect of pressure cleaning. Turbo nozzle is used in this method which is very powerful and ability to drill a hole in a 2cm thick pine with in few seconds. To performance any job in the world you must have the right equipment and at our end we don’t hesitant to expense for purchasing latest equipment. Special equipment’s are available at Guttermen OZ which is only designed for the purpose of solar panel cleaning. One of the highlighted questions is that why cleaning is required for solar panels? So let talk on the question. Although the rain water is helping in stuck of dust on solar panels but it is not possible that the each and every day is rainy day. Furthermore rain water is also not proper cleaning the solar panel as you need wind screen wipers to clean your windscreen for removal of grime so the same required for solar panels. Photovoltaic cells by which solar panel is made convert the sunlight in to electricity and these cells can easily be affected by the grime and dirt that may reduce in the production of electricity. Due to dirt and grime these cell would not be able to complete the procedure of conversion of energy from one to another. Dirt is covering solar panel like a coat of colour and sunlight would not directly reach to the solar panel. Near to 25% of energy could be less if your solar panel is not properly cleaned. Guttermen OZ providing best cleaning for solar panel that result into the 100% production and also increase the life of solar panels. One time chance must be given to GutterMen OZ to prove ability and efficiency of our desired job. 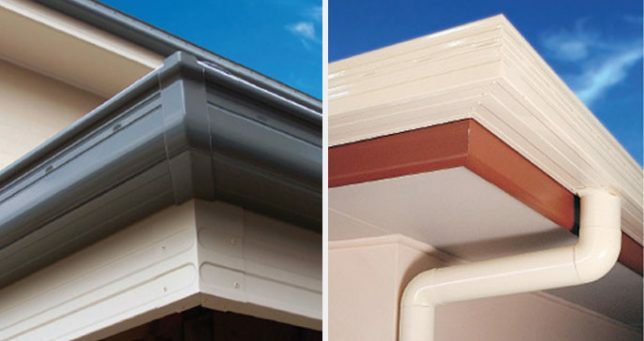 For more information, please log on to https://www.guttermen.com.au/gutter-guard-installation/.